The juggernaut that is Marvel Studios’ Black Panther, the eighteenth entry in the Marvel Cinematic Universe, is now available on Digital HD, Ultra HD, 3D (select markets) and Blu-ray. The film, still playing in theaters, now stands at an impressive $1.3 billion at the worldwide box-office. In Black Panther, director and co-writer Ryan Coogler (Creed, Fruitvale Station) takes us to the fictional world of Wakanda, where we reconnect with King T’Challa following the events of Captain America: Civil War. King T’Challa returns home after the death of his father to claim the throne and defend his nation from threats of the outside world, including U.S. soldier Eric Killmonger, who infiltrates the hidden nation with the intent of assuming the position of King. What’s impressive about this film is that it’s unlike many other superhero films as it tells a very deep-rooted story about identity, family, purpose and legacy. It’s not just about a villain overtaking a throne, but a man coming into a world to claim what he believes is rightfully his, and a young Prince becoming a King and defending everything and everyone he loves, including the legacy of his people. 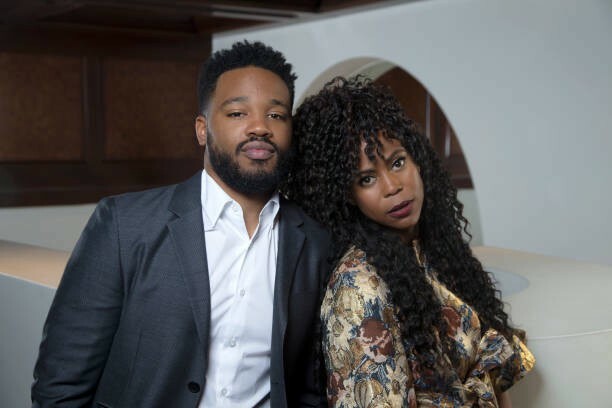 The Blu-ray boasts an exquisite commentary track featuring Coogler and Production Designer Hannah Beachler. The insight provided is priceless and shows the detail and thoughtfulness that was put into the creation of this film by them, alongside creatives such as Nate Moore (Executive Producer), Joe Robert Cole (co-writer), Rachel Morrison (Academy Award-nominated Cinematographer), Ludwig Göransson (composer), Kevin Feige (President, Marvel Studios) and many more. The prologue, narrated by N’Jobu, was removed from the script in various stages before finally being made a permanent part of the film. The Oakland based apartment featuring N’Jobu and Zuri was actually shot in Atlanta, across the street from the church where Dr. Martin Luther King was buried. Dr King’s daughter visited and blessed the set. 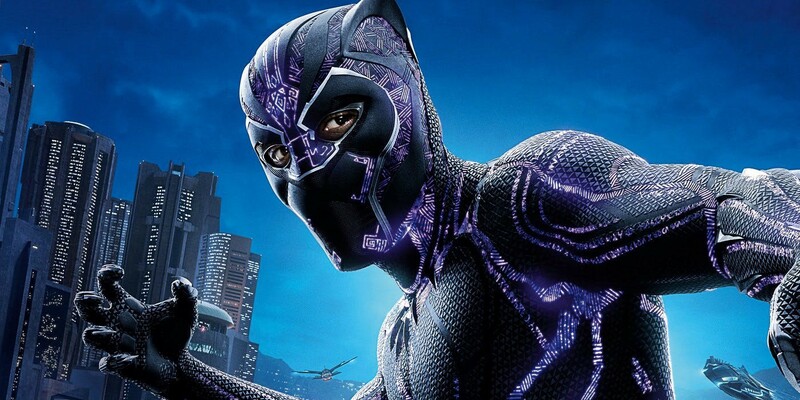 Coogler, Beachler, Nate Moore and Joe Robert Cole created color story to identify characters and their worlds; the Dora Milaje in red, Black Panther in black, Zuri in purple to represent spirituality and high-rank, Nakia in green as part of the river tribe and blending into her environments as a spy, Killmonger in blue to represent colonization. The music for the Marvel Studios logo had to be manipulated to perfectly sync with the cut from the end of the first scene to the beginning of the logo. The intertitle’s change from Bano font to Wakandan font, based off Nsibidi, utilizing 4th century shapes. Sambisa Forest was built on a football field in Atlanta with over 150,000 imported plants and trees and 20 tons of red dirt. The film’s background plates were shot in various locales, including Winterton in South Africa, Sentinel Mountains on the Lesotho border, Uganda as the impenetrable forest, and Zambia. The Museum of Great Britain, where we first meet Killmonger, was shot in Atlanta. Killmonger’s mask features Antelope antlers, simian face, and lion’s mane, an amalgamation of what he represents. The RTF (Royal Talon Fighter) was designed to look like a mask from aerial view. The stripe of black paint across T’Challa’s forehead, at Warrior Falls, is a shoutout to The Lion King. Shuri’s fake-out to challenge T’Challa was suggested by Donald Glover (Atlanta) and his brother, Stephen. Lincoln inspired the challenge scene between M’Baku and T’Challa in how Spielberg was able to make his political dialogue so engaging and animated. Ludwig Göransson flew to Africa and stayed in Senegal for a month, researching music with local musicians. The “Wakanda Forever” salute came from pharaohs, West African sculptures, and hug and love in American Sign Language. At the casino in Busan, Nakia, Okoye and T’Challa’s costumes make up the Pan-African flag. N’Jobu is making plans to break N’Jadaka’s mother out of prison, only for those events to never occur, leaving Erik without both parents. T’Challa’s scene with Nakia where he reveals what he has learned was personal to Coogler, as it shows how he confides and trusts Nakia, reflecting Coogler’s relationship with his wife and mother. Killmonger was inspired by a New York veteran Coogler had met and the experiences he shared. Short-sightedness for the future and painful reverence is personified in how Killmonger kills Zuri, who represents old knowledge and the past, and is considered a traitor to Killmonger. And T’Challa pays for the sins of his father and ancestors when he’s thrown off the cliff by Killmonger. When T’Challa enters the ancestral plane, he’s free to the entire world. When Killmonger enters the ancestral plane its boxed in and limited to a room, a symbolism of their differing outlooks. A big inspiration for Nakia was Harriet Tubman, also a spy, leading T’Challa’s friends and family out of harm’s way. At the Jabari cave, when Ross starts to speak, M’Baku chants at him. That was improvised by Winston Duke. Kevin Feige said that M’Baku deferring the opportunity to become the next Black Panther is the most honorable thing anyone has ever done in the Marvel Cinematic Universe. Beachler asks if M’Baku is an anti-hero. Coogler says he doesn’t look at it that way. At the end of it all, he’s a political leader. Coogler suggests Shuri could become a strong warrior Queen in the future, as she’s already taking command of harsh situations as a 16-year-old African woman. Coogler and the team at Marvel studied many third act battles. Feige’s favorite being the battle for Endor in Return of the Jedi. In early drafts, W’Kabi and Okoye were meant to fight, but Daniel Kaluuya and Danai Gurira worked on this scene tirelessly and came to the realization that W’Kabi’s grudge doesn’t exceed his love for Wakanda. Beachler comments at the impact and rarity of seeing a man (W’Kabi) yield to a woman (Okoye). Coogler’s wife suggested the line of Killmonger afraid of being locked up if saved by T’Challa. T’Challa sees his cousin N’Jadaka in the little Oakland boy (similar hair, blue clothing), and an opportunity to right the wrongs of the past. Some final thoughts — this commentary is extremely insightful and plays like a podcast as it focuses on themes and the why, rather than how the movie was made. For more information about Black Panther click here. Producer of Hyper Heroes on Hyper RPG!